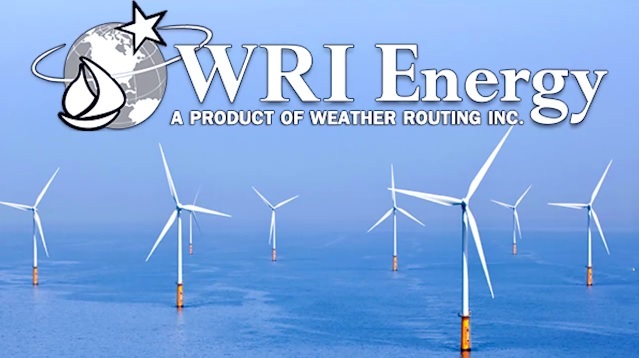 WRI Energy is Weather Routing Incorporated’s forecasting service for offshore renewable energy. Users will have unlimited access to a wide array of weather information integral to offshore wind farm operations. Online Management is also offered with this service, where users will have access to world-wide weather maps, tools and other various weather parameters. The Interface can be accessed from any computer with an internet connection; WRI’s team of experienced Meteorologists are available for consultation 24 hours a day, 365 days a year. No special hardware or software installation is required. WRI Energy strives to provide our clients with dependable, reliable, and innovative information to maximize energy output. Samples of the many products and services offered on WRI Energy are displayed in the above menu tabs. We are excited for another successful day at #2019IPF Thanks to @offshorewindus for hosting such a beneficial event! Mark Neiswender and Ashley Petersen are looking forward to seeing everyone at #2019IPF Feel free to contact us for a meeting! With the Army Corps of Engineers approval on the @LEEDCo's Icebreaker Offshore Wind Project. The project is one step closer to fruition.